What Tools Do Top CEOs Use to Manage Their Emails? Blog > Resources > What Tools Do Top CEOs Use to Manage Their Emails? The inbox is like an anchor, a weight on your time. The average employee spends what seems like a million years every day just digging through junk in the inbox. That can’t be the case all the way to the top, can it? What are CEOs doing with their time? They certainly aren’t spending hours each day just flipping through Gmail, that’s for sure. From what I’ve seen, what I’ve read, and what I’ve experienced, CEOs generally fall into one of four categories. CEOs who use psychological techniques to manage email. CEOs who use software or productivity apps to manage email. CEOs who hire people to handle their email for them. 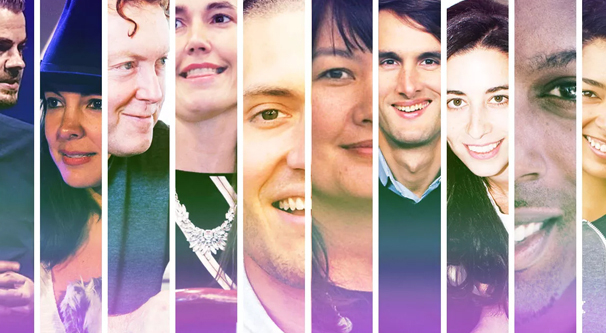 CEOs who mostly just ignore their email. The fourth option isn’t a very good option unless you’re powerful enough to have people coming to you in person to contact you. As such, I’m going to cover the other three. It’s kind of rude to consider a virtual assistant a “tool” and psychological techniques can be considered tools in a certain sense, but there it is. Forget Inbox Zero. 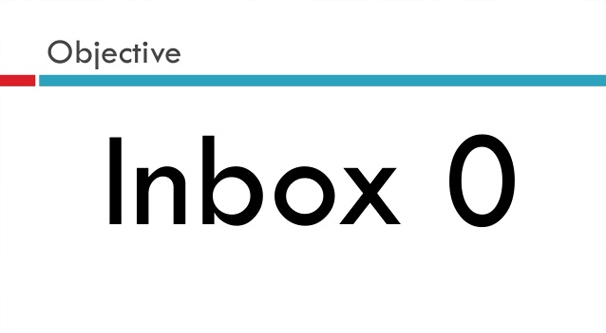 Inbox Zero is a concept that works very well for some people, but for others, it becomes an unachievable goal. If being unable to reach it is stressing you out, just don’t worry about it. There’s no real reason to worry about reaching it when more messages will just keep coming in. Read, Act, Delete. Brad Smith of Intuit – and many others I’ve talked to – take a very specific approach to email. Never open a message more than once. If you’re going to touch it, act on it. If that action means deleting it, delete it. If it means replying, send a reply immediately. If it means taking another sort of action, do so immediately, or schedule it immediately. The more you let messages linger, the more you have to juggle all the time. Don’t touch it if you can’t clear it, and if you can’t clear it, get rid of it. Sort Early. Amy Jain of BaubleBar users her subway commute downtime to filter through her inbox in an initial sort. This is directly counter to the previous strategy, but if it works for you, who can tell you otherwise? 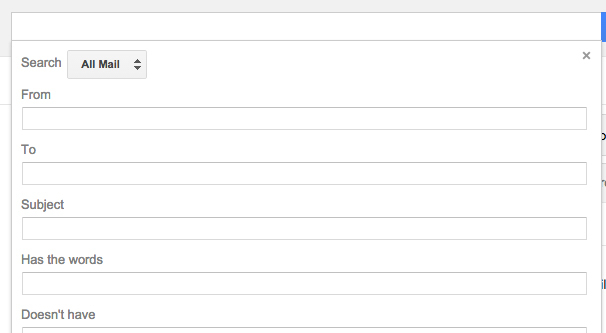 Go through your email with a fast eye, sorting your messages into simple categories. Flag the ones that need attention or action when you reach your office, acknowledge any that need a simple acknowledgement, and delete the rest. Open Other Lines. When people know they can reach you through means other than email, many will take advantage of it. It’s often a great way to save time as well. An email exchange might take 20 minutes of back and forth, while a phone conversation covering the same information would only last 5. When you’re accessible via other means, email takes a back seat, and rightfully so. Delay. I’ve met some CEOs who put everything on a 24-hour minimum delay. This ties into the previous tip about lines of communication. If you want a response from them, you call them or you stop by their office. Email is for non-urgent messages only. By enforcing a delay, you ensure that the people sending you messages will either reach out to someone else or will only send you non-essential emails. Delegate. As a CEO, your job is to manage your business. Your business includes a lot more than just email. In fact, a big part of your job is hiring people to handle certain aspects of your business without the need to consult you. If you find a lot of emails coming in about a certain topic or issue, it might be time to figure out who the appropriate person in your organization is to handle them, and why they aren’t. If no such role exists, that’s a job posting waiting to happen. Create Tasks. Bill Gates uses his email as the foundation for a task list, making it essentially a to-do list for the day. Along with a few other productivity tasks, he described how he did this in an interview with Make Use Of back in 2017. It’s a great read, you should give it a look. Working Hours. France passed a law a couple of years ago protecting workers by making it a legal right to ignore email outside of business hours, in any company with more than 50 employees. Their hearts are in the right place: email should be for work, not for time spent at home. If you’re responding to mail right before bed or over breakfast in the morning, your work-life balance is going to suffer. Better to limit it to business hours. Email Bankruptcy. This technique, from the founder of Hootsuite, is a way to wipe the slate clean when messages build up too much to handle. At a certain point, you start running into issues where you’re looking at and replying to emails that have follow-ups higher in your inbox. It no longer makes sense to keep digging. My personal recommendation in this regard is to start at the top, newest first, and handle everything from the most recent day or two, depending on the volume you receive. Then delete the rest. Once enough of it has built up, it ages out quickly, but the new stuff is worth dealing with or keeping around. Additionally, anyone who really needs to contact you will follow up again or will contact you in another way. Distraction Lists. Part of the problem with email is that it becomes a distraction from other tasks. You’re in the middle of one thing and you suddenly remember a message you need to send, so you jump over to Gmail, send it, and start going through your inbox, and suddenly an hour is gone. Keep a pen and paper nearby while you’re working. Whenever you think of a distraction, don’t stop what you’re doing to handle it. Instead, just write it down and keep working. Your distraction list is a to-do list for when you’re done with what you’re doing. Folder Systems. Different people have different systems for managing their messages. Every email client will allow you to create folders, though, and just making use of a folder system can go a long way towards helping you organize. You’d be surprised at how often useful, advanced features are ignored just because you either don’t know about them, or aren’t sure how to set them up. FastCompany has a good rundown of a folder system you can try. Instant Messaging. While the heyday of instant messaging clients is long over, some clients still exist. Skype, Discord, Slack, and even IRC are all available. A CEO hanging out in an IRC chat might seem a little anachronistic, but if it allows you to handle issues in minutes that would otherwise hit an inbox and take hours to solve, it’s a greatly beneficial resource. 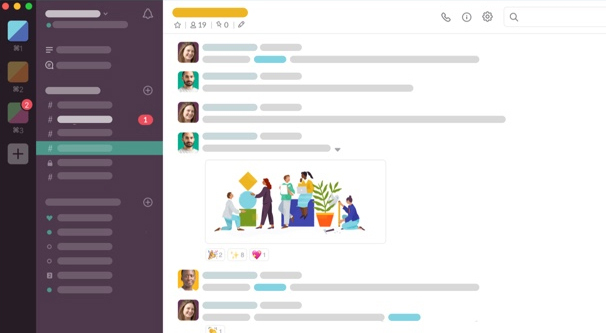 A business or management focused Slack or Discord server can be a great tool, even if the days of Yahoo IM or AIM are long gone. Team Management. 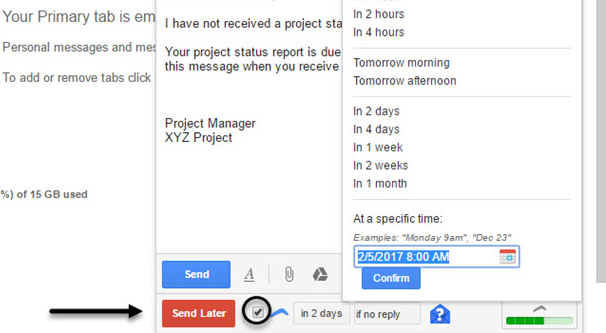 There are a lot of different project management apps that have their own messaging systems built in. Trello, Zoom, and Knote are all options that have asynchronous chat available. You can convert notes into tasks and delegate them right from the management system as well. Templates. In addition to folders, templates or canned emails are a feature that a lot of people really should be using when they aren’t. Setting up a few templates might take a while now, but the time they save as you use them week after week will add up. Thankfully, it’s pretty easy to set some up. Boomerang. The Boomerang app has a number of nice features, but the foremost use of them is to delay messages that aren’t essential. If you can’t do it with your own self-control, you can use Boomerang. Whenever you see a message that you can’t deal with immediately, use Boomerang to shunt it off, only for it to return a few hours or a few days later. Try to pick an appropriate time where you’ll be able to handle it then. It’s also great for reminding yourself to follow up on messages you send. Meetings. There are a variety of different calendar apps out there, from Acuity to Google Calendar. They’re excellent for planning time management, and scheduling meetings with people who would otherwise require hours of your time over email. Instead of exchanging emails for that interview, why not just meet for lunch? The Top Inbox. The Top Inbox is an email scheduling tool. If you’re one of those people who works outside of business hours, the least you can do is be respectful for those who don’t. Sure, you can create and draft emails to send, but send them through an app like this one. It schedules your messages to be sent later, so you’re not cutting into the life of those you’re contacting. I’m only going to cover this option in brief, because it’s really not an ideal solution for most people out there. A virtual assistant, a secretary, or some other screener for your email can work very well, but you need to find someone you trust to communicate for you. If they need to ask you for information every 10 minutes, they aren’t saving you any time. 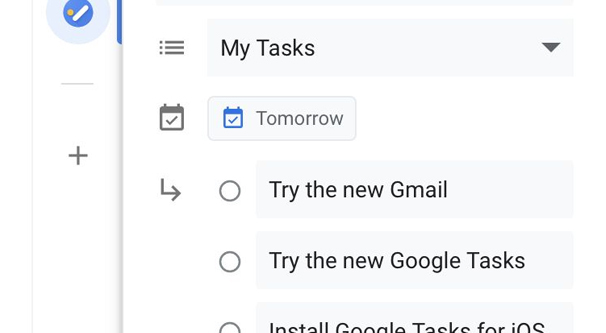 The first thing you need to do is figure out what tasks your assistant will be handling. Email, sure, but how are you going to set it up? I recommend either creating an email inbox for them to monitor and forwarding anything you want them to handle from your own, or vice versa. If you give them access to your primary inbox, just be aware of any possible security concerns. Next, figure out how much your time is worth. Some people in high powered positions may be able to calculate their self-worth as hundreds or even thousands of dollars an hour. When you know what you want your assistant to manage, you can figure out how much time it takes, and use those numbers to calculate a budget. Don’t skimp on an assistant; they could be your window to the world. With a budget in mind, figure out where you want to hire. A contractor in the Philippines is going to be your cheapest reliable option, but you might not trust someone in another country, or you might just want them closer at hand. If language fluency is a concern, you might want a remote freelancer in the USA. They’ll be more expensive, but probably higher quality, especially with niche language or cultural familiarity. If you want someone to handle calls and other local tasks, hiring an actual local employee is the best option, but also the most expensive. You can find a variety of different services that can help link you up with the appropriate people. 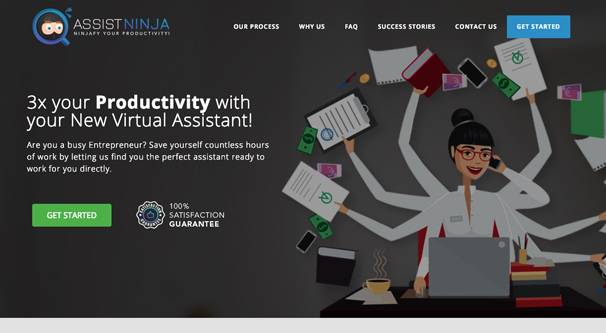 AssistNinja can set up meetings with prospective VAs. Upwork also has a wide variety of remote employees available. Otherwise, simply posting a job posting on Indeed or LinkedIn can get you qualified leads. Regardless of whether you want to use mental tools, physical tools, or other people to help manage your time, the key is to find something that works for you. If there’s one thing I’ve learned from other CEOs, it’s that everyone finds a routine that works for them, and it’s fitting that routine that makes it a success.